by William Shakespeare Author · Peter Swaab Author of introduction, etc. 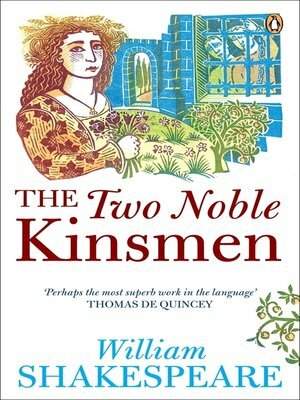 Considered by Thomas de Quincey to be 'perhaps the most superb work in the language', The Two Noble Kinsmen is set in Athens and was co-written by Shakespeare with John Fletcher. This Penguin Shakespeare edition is edited by N. W. Bawcutt with an introduction by Peter Swaab. When Theseus, Duke of Athens, learns that the ruler of Thebes has killed three noble kings he swears to take revenge. But after Athens triumphs over the rival city, Theseus is struck by the bravery of two Theban cousins and orders his surgeons to attend to them. Soon, the cousins' lifelong friendship is threatened, as both become overwhelmed with love for the duke's beautiful sister. This book contains a general introduction to Shakespeare's life and Elizabethan theatre, a separate introduction to the play, a chronology, suggestions for further reading, an essay discussing performance options on both stage and screen, and a commentary.